We all know the sheer amount of news that is being emitted on the Mexican drug wars is hard to tune out. But while this kind of news dominates American media, normal life continues in the majority of Mexico. For instance, San Miguel de Allende is reported to be particularly safe, with many Americans traveling to San Miguel de Allende in search of tranquility, colonial architecture and rich culture. 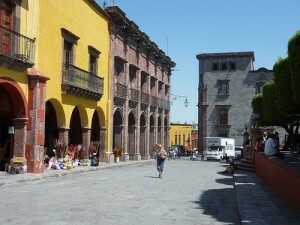 Read the testimonials of the new American expats and visitors in San Miguel de Allende and find out why they feel Mexico is a very safe place.